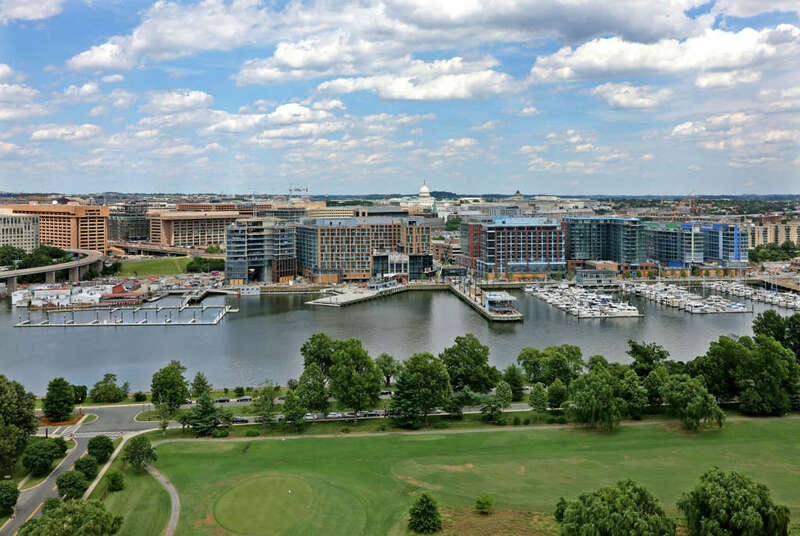 When the first phase of The Wharf opens next month, Washingtonians will have access to new restaurants, retail shops and riverfront activities. One local chef said the new development is "going to change D.C. forever." Here's what's planned. 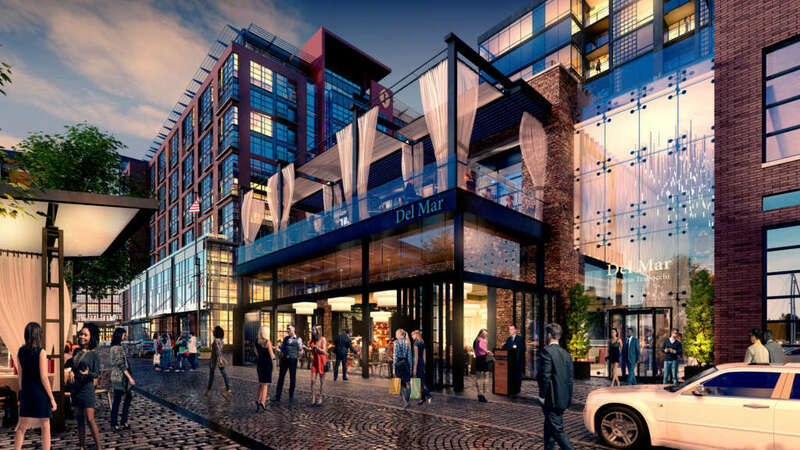 Editor’s Note: This article is part of a five-part series on D.C.’s new Southwest Waterfront development, The Wharf. WASHINGTON — Cathal Armstrong has been an active part of D.C.’s culinary community since he opened Restaurant Eve in Alexandria, Virginia, 13 years ago. And over the years, he’s resisted mounting pressure to cross the river and launch an eatery in the nation’s capital. In October, Armstrong will open Kaliwa, a Filipino, Korean and Thai restaurant on D.C.’s Southwest Waterfront — and he’s just one of a handful of lauded chefs to claim a piece of real estate along the newly redeveloped shoreline. “We went there and did a site visit, and you could start to really get a sense of what was happening here and how different this was going to be,” Armstrong said about his decision to open a restaurant, his sixth, in D.C.
Plans for District Wharf have been in the works for more than a decade, and when the first phase of development opens to the public next month, visitors will be greeted with new dining, retail and recreation options. In addition to Armstrong, chefs Jamie Leeds, Fabio Trabocchi, Mike Isabella and Nicholas Stefanelli all have concepts planned for The Wharf. In fact, more than 20 cafes, bars and restaurants will open along the mile-long waterfront community between October and next spring. Expect to see familiar names such as Blue Bottle Coffee, Dolcezza Gelato, Hank’s Oyster Bar, Shake Shack, Rappahannock Oyster Company and Taylor Gourmet. Stefanelli’s three-floor Italian market and trattoria will bring specialty products (cheeses, meats, coffee, etc.) to the neighborhood, and Trabocchi’s Del Mar will focus on Spanish-style seafood. Celebrated cocktail wiz Todd Thrasher plans to open a multilevel rum distillery and bar, called Potomac Distilling. Thrasher, a new student to distilling, will make four rums when he opens next spring, including a white rum, a spiced rum, an aged rum and a “green garden rum,” which he said will appeal to gin lovers. Potomac Distilling will include a retail shop with homemade syrups and bitters, as well as a few seating areas and an open-air tiki bar. Most restaurants and bars strung along the The Wharf’s cobblestone walkways will have patios or some form of open-air seating, and many boast waterfront views, which Monty Hoffman, CEO and founder of the development group PN Hoffman, said have been missing until now. 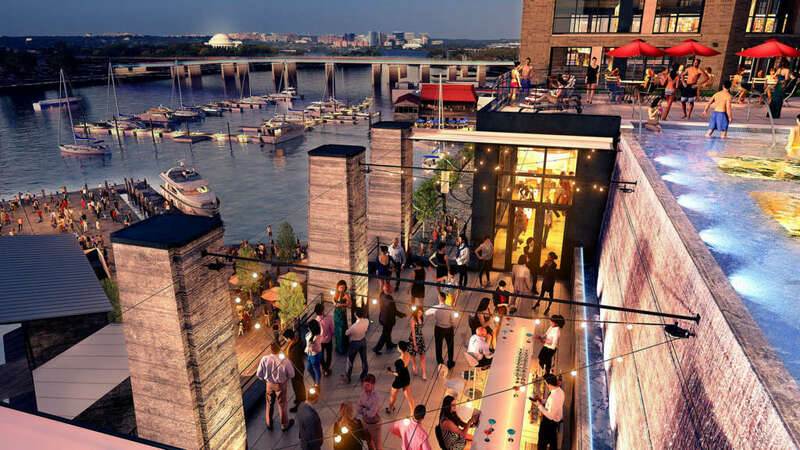 The heart and soul of The Wharf is the water, Hoffman said, so it’s no surprise that much of the action in the new neighborhood will take place on the Potomac. 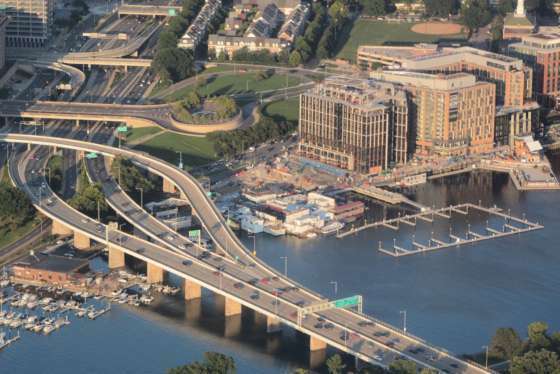 The waterfront community will be home to DC Sail, a sailing club and school, as well as the Capital Yacht Club. Dinner and sightseeing cruises will service The Wharf, and visitors will be able to rent kayaks and standup paddleboards at its piers. 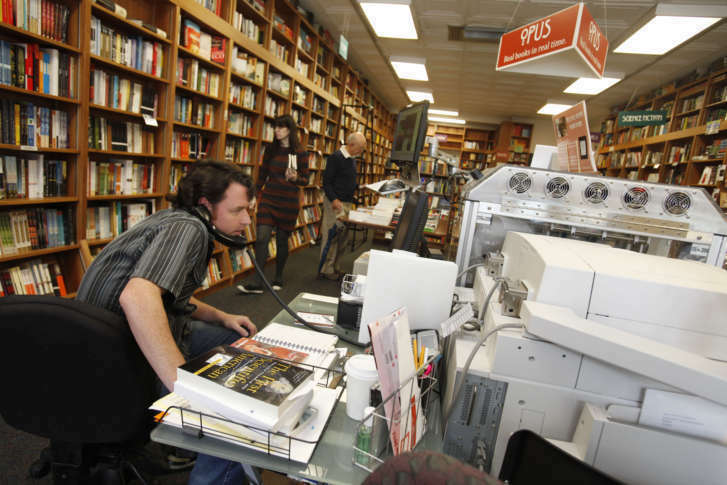 Politics and Prose is opening two new stores — one each at The Wharf and at Union Market this fall — and owner Brad Graham said there’s never been a better time for the local bookstore to expand. “These areas have been underserved by bookstores and lots of other retail in the past, and now that the housing stock there has improved and these new buildings are going up, we see this as a great opportunity,” he said. Hoffman said water taxis will connect Washingtonians to Georgetown, Old Town Alexandria, National Harbor and The Yards. The “Wharf Jitney” will ferry people from the piers to East Potomac Park for free. “So if you’re working here and you want to hit a bucket of balls for lunchtime, you can go to the driving range at East Potomac Park and get back in a half-hour,” Hoffman said. Piers and parks throughout the development will be populated with swings, benches, trails, and splash and spray water features. There’s even space for future farmers markets and festivals. “The water is social; it brings out the best in everybody. If you go on a boat and you’re out on the water and you pass another boat, what do you do? You wave. When you’re in the car and you pass another car on the road, do you wave? No. I mean, there’s something magic about the water,” Hoffman said. Music is another main focus at The Wharf. The largest venue, The Anthem, will hold up to 6,000 people and host acts such as The Foo Fighters, O.A.R. and Lorde, beginning Oct. 12. “We believe that this venue, we fit more people closer to the artist than anywhere else. There’s no bad seat, no bad standing spot anywhere in the house,” Hoffman said about The Anthem’s design. Pearl Street is another destination for entertainment at The Wharf. Pearl Street Warehouse and Union Stage, both of which hold around 400 people, will feature live music seven nights a week. Kirwan’s Irish Pub will also be a harbor for the arts. “You can make a day of it. You can go rent kayaks in the morning, you can go have lunch, you can hangout at one of the bars, come to the distillery and help us make rum and then go pick up a show at The Anthem. It’s like an amusement park for adults,” Potomac Distilling’s Thrasher said. From wine, to books, to fair-trade gifts, The Wharf’s retail component gives locals a new place to shop. Area favorites such as Politics and Prose, Harper Macaw, Cordial Craft Wine and Beer & Spirits all have locations planned for the new development, as well as national brands like CVS and Ben & Jerry’s Ice Cream. Big box stores, however, are excluded from the list. “We don’t have big chains here, and that was on purpose,” Hoffman said. He adds that dry cleaners, fitness studios and salons will fulfill the needs of the development’s new residents. A kickoff celebration for The Wharf is planned for Oct. 12 to 15. The four-day event will include food, live music and sunset fireworks. Visit The Wharf’s website for more information. Part 4: Will The Wharf be your traffic nightmare?